Fundraising Resolution #1: Get more organized! We all know it to be true, organization and proper planning are linchpins in any successful nonprofit. In a fundraising office, this means creating a strategic development plan that will allow you to set goals and track progress. Victoria Dietz’s experience covers an array of activities in development, from annual fund work for small and mid-sized nonprofits to major gift and corporate development in large nonprofit settings. In her role as vice president for The Curtis Group, she is responsible for a variety of clients’ planning studies, trainings and campaign management. Victoria specializes in helping her clients strategically grow overall fundraising capacity and has managed campaigns ranging in size from $2 millionto $40 million. Prior to joining The Curtis Group, Victoria oversaw corporate and foundation relations for Bon Secours Hampton Roads. There she supervised all grant writing activity while also managing a major gift portfolio of individuals, as well as local and national corporations for three hospital foundations. 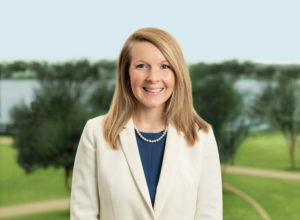 Victoria has completed specialized fundraising training through The Advisory Board, the Association for Healthcare Philanthropy, the Hampton Roads Gift Planning Council, AFP International and Virginia Fund Raising Institute.